One of my favorite pass times with my tween daughter Maddy is doing our nails together. She is constantly bouncing between school, after-school and weekend sports and hanging out with friends so I cherish the moments that we spend together. Plus, it gives us time to do a “girly thing” just the two of us. We always have a great time chatting and laughing as I apply whichever bright color of nail polish she has chosen. But lately, she has been challenging my skills by asking for all kinds of designs on her nails. She wants lines, polka dots and glitter tips. I kept telling her I had no idea how to do all of those fancy things. Until Cristy and I met celebrity nail stylist Mar y Sol at the CoverGirl Outlast Stay Brilliant Nail Gloss event. Mar y Sol had created a nail design inspired by the Custo Barcelona line that was being unveiled that night during FunkFashion Week in Miami. The bright colors and fun design were something I knew my Maddy would love and it looked simple enough for me to do at home. Mar y Sol even shared with our Los Tweens moms and tweens ideas on how to create fun nail art at home using CoverGirl Outlast Stay Brilliant Nail Gloss. You can hear her tips on using household items to create fun nail design in the video interview below. Also, there is no need to apply a top coat with the CoverGirl Outlast Stay Brilliant Nail Gloss. I can really appreciate that since waiting those extra minutes for the top coat to dry wears out my patience and I end up ruining my manicure. 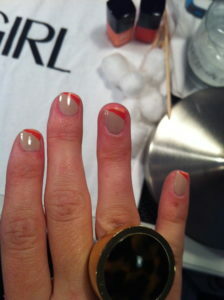 One more great feature of the CoverGirl Outlast Nail Gloss is it’s more natural formula made with a clay resin. Maddy and I will let you know how it goes as we dive into the world of nail art! 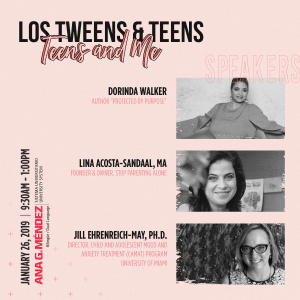 DISCLOSURE: Los Tweens was not compensated for this post. All opinions are our own. 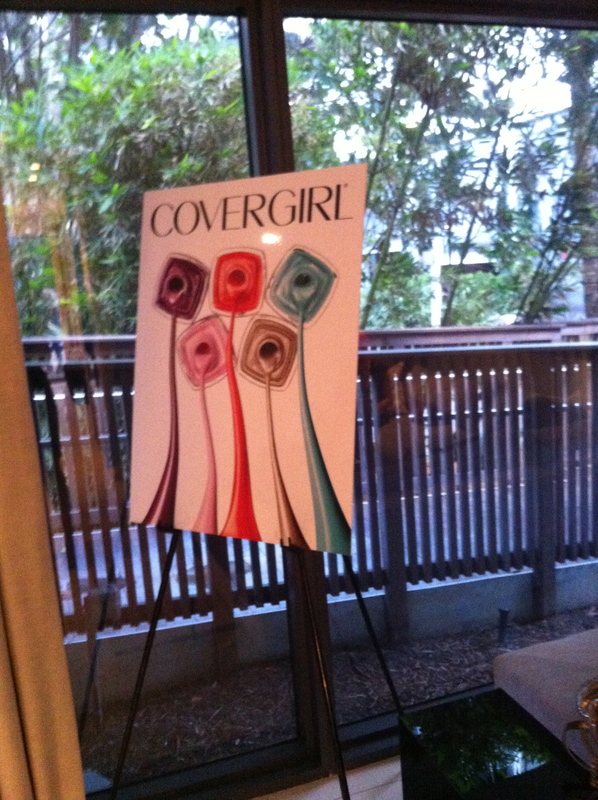 A gift was provided at the CoverGirl manicure reception. This entry was posted in For Mothers & Tias, Product Reviews and tagged CoverGirl, moms, nail art, nails, Tweens. Bookmark the permalink. It’s not my first time to pay a quick visit this web site, i am browsing this web site dailly and take good data from here all the time.